I had a Hot Stone Massage and it was amazing. �Nicola has an excellent knowledge of her products and explains clearly how she is using them and what effect they will have. 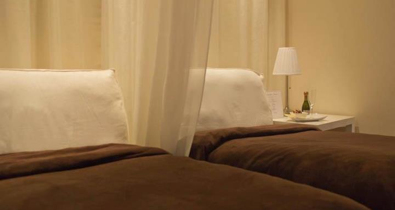 �No expense has been spared, the massage beds have arm rests and it's the little extras that Nicola provides that make it more comfortable ie, the room was warm, the bed was laid out with extra cushioning to make the massage more comfortable and the bed had arm rests. �It was a real treat. �I also had a manicure. �There was an array of choice regarding colours and products used were of a very high standard. As a local mum herself I truly believe that Nicola goes that extra mile. Luxury Elemis products are used in treatments, clean/modern decor, extensive current treatments including hot stone massage and even Botox if wanted and likeable professional staff that have a good understanding of your needs.�This salon is a must. You really do come away feeling relaxed, special and, in my case, calmer! Seven-Plus Spa/ The Beauty Room, �44 Banstead Rd, Carshalton Beeches, Surrey SM5 3NW 020 86427497 www.sevenhairdressing.co.uk (click on Beauty Spa). �You can even book appointments online." Rachel Castrogiovanni, Local Mum of Joshua, 7 and Ethan, 3. The Premiere Health and Beauty Salon in Sutton. 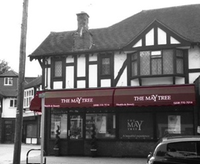 Welcome to�The May Tree�where we pride ourselves on professional advice and individually tailored beauty treatments.�The May Tree�was established in 2001 and over the years we have grown an extremely extensive client base. Our clients have usually come by recommendation which we feel reflects excellent service and reputation. We offer a wide range of beauty treatments including Darphin Face and Body treatments, Caci Non Surgical Facials, St Tropez Spray Tanning, Shellac Manicures and Pedicures and much more. We are passionate about our salon and this is reflected in the quality of our treatments, the expertise of our staff and our relaxing surroundings. We welcome you to a beautiful experience at�The May Tree. Kathy McGuinness, Local Mum of Sophie 7, Thomas 5, James 3 and Daniel 8 months.